The first-generation XC90 was one of Volvo's best-sellers of all time with a volume of 637,244, so expectations are high for the all-new version of the Swedish automaker's flagship, shown. Volvo says its all-new XC90 flagship represents the future of the automaker, which aims to nearly double global sales to 800,000 vehicles by 2020. 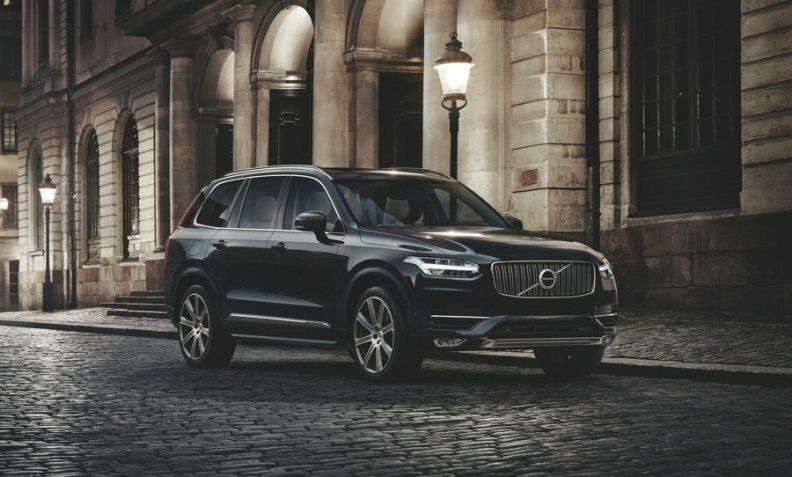 The premium large SUV is packed with highly advanced safety features, many of which are standard, and a powertrain that Volvo says provides the best combination of power and fuel economy in its class. Optional semi-autonomous driving technology accelerates, brakes and steers the XC90 with limited input from the driver at speeds up to 50kph in stop-and-go traffic. Volvo's Sensus control system provides a range of cloud-based applications and services that can be operated via the large tablet-like touchscreen controls on the steering wheel or via voice commands. Mainly wealthy retail customers aged 30 to 50 with children or whose children have grown up and left the home. Volvo's pioneering run-off road protection addresses accidents that often lead to a fatality or severe injury. The system detects the car has left the road, tightens the seat belts to put the motorists in the best position to absorb the upcoming impact, and the front seats have a Volvo-patented shock-absorbing structure that “reduces the vertical impact on the spine by 30 percent,” XC90 Program Manager Hakan Johansson said. It will take tablet novices some time to get comfortable with controlling many of the car's functions using the touchscreen. “With this car Volvo is moving into the premium league,” CEO Hakan Samuelsson said when asked about the XC90 at the Geneva auto show last month. A system that protects the driver from serious injury if the car runs off the road and automatic braking if the driver is at risk of being involved in an accident at an intersection are among the XC90’s standard advanced safety equipment. Volvo says both features are world firsts. The XC90 variant with a plug-in hybrid powertrain provides a combined 400 hp (318 hp from the gasoline engine and 82 hp from the lithium ion battery) with CO2 emissions as low as 59 grams per kilometer, which is the equivalent of 2.5 liters of gasoline per 100km. Volvo expects the new XC90’s production to average about 80,000 units a year, which would match the previous generation’s output despite competition in the segment tripling to 15 rivals since 2002.